WHO ARE THESE DUDES AND WHY SHOULD I TRUST THEM WITH MY UNIT? We're the guys who know water heaters inside and out, and we can fix them blindfolded (We won't). We're friendly and fair, from beginning to end. Diagnosing, cutting, fitting, soldering... we do it all and we do it really well. We even taste the water to make sure it's fit for a king. 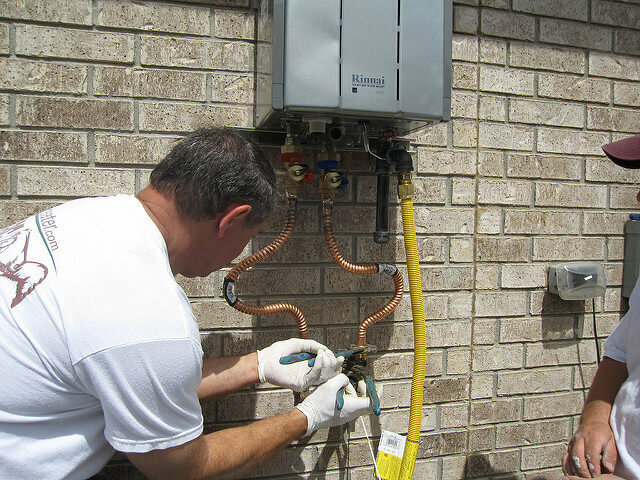 When you choose the plumbers at Savannah Water Heater Co., you get the city's specialists in hot water provision. ​We'll treat you like family, promise. If you still aren't sure, just read a few of our stories here. At Savannah Water Heater Co., we've been making sure families have hot water for a long time now. It's something we've grown to love. Putting a smile on your face and fixing a problem that's creating stress in your life is extremely rewarding. It's been our mission from day one to provide the great people of Southeast Georgia with excellent service, every time. And not just in the way we work, but the way we speak to you, and treat you throughout the entire process. It's the reason our reputation has grown each year, and people have recommended us to their friend's and family whenever they've had a need for top-class plumbing service. So if you've found yourself in a place where the water is running cold and you just can't stand it anymore, give us a call. We'll show up as fast as we can, and we'll treat you more than fair. And that's a guarantee. Without taking a look at your specific situation, it's impossible to provide you with an accurate cost. Repairing the unit will not be as pricy as installing a new water heater, but it also may not be the best option for you. The good news is, we give free estimates! Give us a quick shout and we'll plan on a time to have a plumber come out, diagnose the problem, listen to your desires, and provide you with the best possible solution. Your family's well-being is always our top priority, and you can trust us to treat you right.